Asan Mugunghwa of South Korea's K League 2 topped the league this season by seven points and it looked like they would then be playing in the K League 1 next season. Unfortunately, the side looks like they could be disbanding over the next few weeks meaning second-placed Seongnam will be promoted in their place. Asan was originally funded in 1996 as the Police FC and changed their name in 2017. 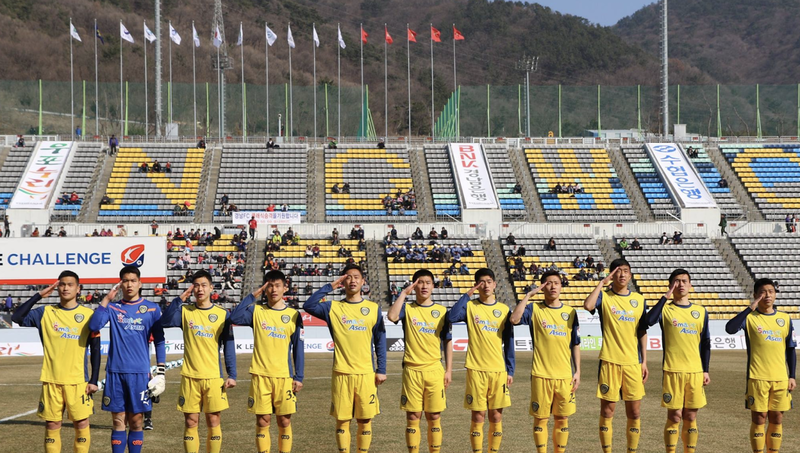 The side is made up completely from Korean professional footballers who are serving their two-years compulsory military duty. The club this season won the K League 2 but have announced plans to not recruit new players for the coming season. 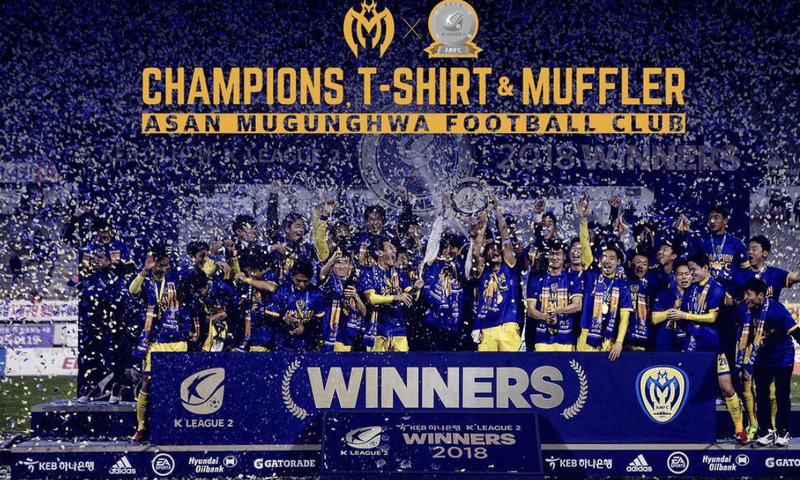 This prompted the KFA to step in as they said: "The Police (Asan Mugunghwa) will not allow Asan to qualify for the first part of the year, because they will not disclose their intention to recruit players next year." Then when the club after winning the league kept to the decision to not recruit further players it was decided that second-placed side Seongnam would take their place. It now looks uncertain if the club will even compete again in the K League 2. As the league demands that a team needs at least 20 players within their squad. This might not be possible as Asan will lose players over the next few months as their military duty ends.